People often ask me can you win at poker without bluffing and I think my answer is a little bit shocking to some of them. Yes, you absolutely can win at poker without bluffing! 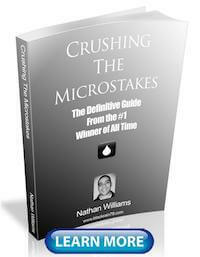 In fact most big winning poker players actually do very little bluffing. Televised poker in particular tends to skew our perception of the game by hand picking a lot huge bluffs to show us. But the truth is that most of the time people are not bluffing in poker anywhere near as much as you think and you absolutely can win at poker without bluffing. 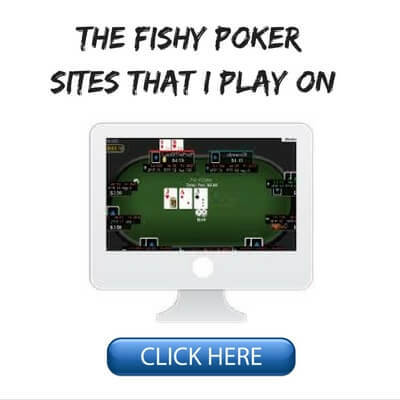 This is even more the case if you play online poker. But there is of course a lot more to it than this, and in order to achieve the highest winnings possible in your poker games, you should work at least a few bluffs into your game plan. Don't worry though because I am going to cover it all for you below in this article! Do You Need to Bluff to Win at Poker? So as I just mentioned, no, you absolutely do not need to bluff in order to win at poker. This is especially true at the lower stakes which is likely what you stakes you play. My name is Nathan "BlackRain79" Williams I am the guy who is well known for having played millions and millions of hands at the lowest stakes online with some of the highest winnings in history. Now, I am going to let you in on a little secret. I am very, very rarely bluffing at the poker tables. Many people have found this out the hard way over the years. Heck, I just don't even have the time to be bluffing you when I am playing on 10 or 20 other tables! So when I am betting big and raising it is usually because I have a big hand. But still to this day people call me down all the time just to see it. This is the one time they are going to catch me in a big bluff they convince themselves. Nope, he has the nuts again! And the reason why I don't bluff very much at these stakes in particular is because of what I just said, they love to call me down. Why would I try to bluff a bunch of guys who just love to call me all day? I have literally made a career out of these guys. So if I suddenly decided to start bluffing them then that would just be like lighting money on fire. Poker is all about reacting to what your opponents do. If they are going to call me down like crazy, cool. Then I will just show up with the nuts every time when I am betting big. Play money poker is the most extreme example of this. You should never, ever, ever, ever bluff in play money poker ever. Because they do not fold anything for any amount! If on the other hand I am playing in a game full of weak players who fold too much, then I am going to be bluffing these guys all day. 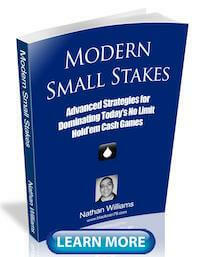 And you will encounter these games as you move up the stakes in real money games. I think you catch my drift. It's all about adapting to the game you are playing in. Most games at the lower stakes though (live or online) are full of calling stations. You don't want to be bluffing these guys. Now a point that trips a lot of people up is continuation betting. A continuation bet is when you raise before the flop and then "continue" your aggression on the flop with another bet. You need to know that a continuation bet is NOT a bluff. A continuation bet instead is actually a standard play in poker that you should be making most of the time especially against a single opponent. As I discuss in my poker strategy books, you should be continuation betting on the flop somewhere around 60% or 70% of the time. Against, some really, really weak/tight players you can even go higher than this sometimes. So this means that a good portion of the time when I am betting the flop as the preflop raiser, I don't have much of anything on the flop, maybe ace high or a weak draw, sometimes nothing at all. I am continuation betting almost every time here! The reason why this bet is not a bluff and you should be doing it often is because it is very profitable. Also, you need to remember that Ace high is often actually the best hand here. Lastly, most people tend to give you too much respect as the preflop raiser anyways and fold too much on the flop. 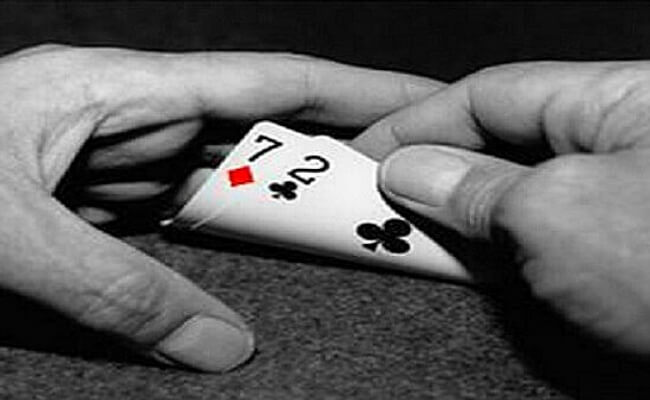 For instance, a lot of people will fold their pocket 4's or pocket 5's here when you bet. This is just free money that you should always be picking up. Another play that you might see me making at the poker tables a lot is a double barrel. This is when you raise preflop, continuation bet on the flop and then bet again on the turn. If you don't know when you should be doing it (what opponents, what turn cards etc. ), check out my double barrel cheat sheet right here. Now most of the time when I am double barreling at the micros, I have the goods. As I mentioned before, I am not screwing around at the lower stakes in particular. I know most of them love to call me down, so when I am betting, they are going to lose. However, there are some occasions where it can still be a good idea to double barrel even when you only have a draw for example. And this is the case versus weak opponents. This is an example of a hand where I am going to be betting again on the turn (even though I only have 9 high) a very large amount of the time. The reason why is because the ace is a great scare card and my opponent has also shown weakness by checking to me again on the turn. And to sweeten the deal even more, I still have the flush draw in my back pocket even if he decides to call my double barrel here on the turn. So this is a slam dunk bet on the turn even though we are technically "bluffing." As I talk about in The Micro Stakes Playbook you can also use tons of different HUD stats like WTSD% to find out which players are most likely to fold in a spot like this. Bottom line though is I still don't even consider this to really be a bluff. It is simply a profitable poker play against the right players, on the right turn card. The real key to success at the lower limits (either online or live) is value betting strongly and frequently with your big hands like top pair, two pair, trips, a straight or a flush. A lot of people do the exact opposite though. They try to trap their opponents with these hands. I blame televised poker once again for this, giving people a distorted image of how poker works. As we already discussed, you don't want to try and bluff a calling station. But you have to remember that the exact opposite applies as well! That is, you never, ever, ever want to slow play versus a calling station. Because once again, they love to call. And you like money right? This is one of the biggest mistakes that I still see so many people making at the micros in particular these days is just throwing away their money trying to slow play against calling stations. So this is why when I hit a strong hand versus one of these players who like to call too much at the lower stakes I will often just go ahead and bet all three streets with it. In other words, I will do the most painfully obvious thing in the world: Bet with my good hands. It sounds so simple right? But many people try to complicate poker. There must be more to it than this they try to convince themselves. They tell themselves that they need to play more tricky because that is how Daniel Negreanu plays on TV in heavily, heavily edited high stakes poker tournaments. But this isn't how your $10 games on the internet play and you aren't Daniel Negreanu either. The way to beat the low stakes games that you play in is very simple actually. I have made obscene amounts of money in these games (relatively speaking anyways, 6 figures+) by simply making the most braindead obvious plays over and over and over again. Now of course not everybody is a calling station at the lower limits any more and you do need to adjust your game like I mentioned before versus some of the better aggressive players for instance. However, one of the biggest keys to your success in most low stakes loose passive games is to just keep everything as simple as possible. And this means not bluffing very often and simply making the most obvious play possible with your good hands, bet them. But I Just Love to Bluff! Now some people might say, but Nathan, I just love to bluff so much, I get a thrill out of it, I can't control myself! Ok cool. Believe me I get it. And this is actually a good thing. It will serve you well in higher stakes games where you need to out-think much stronger opponents and have lots more tricks up your sleeve. But for now, if you are playing low stakes (which you probably are if you are reading this article), then you really have to cut most of this bluffing out of your game. As I have mentioned all throughout this article you do not win at poker by bluffing a lot in most low stakes games. In fact you honestly do not need to bluff at all in most loose passive games. And this is just part of the discipline and the ability to adapt that comes with being a strong poker player. You have to understand what kind of environment you are in and adjust to that. As I often mention on this blog and in my books and poker YouTube videos, winning poker at the lower limits is actually pretty damn boring. Seriously, it's mind numbingly boring at times. If you want to win that is. There just isn't much you can do except sit around and wait for the nuts against many of these people. So if you want to win you need to control your urge to bluff so much. So can you win at poker without bluffing? Well, to finally answer this age old question once and for all, the answer is yes, you absolutely you can win at poker without bluffing! In fact in most low stakes loose passive poker games you should actually do very little bluffing if you want to win at the highest clip possible. Now there are a few situations such as flop continuation bets and double barrels which should definitely be a part of your game. But these aren't really even bluffs, they are just good poker plays. The bottom line is that you need to value bet strong and frequently at the lower stakes with your good hands and keep the bluffing to a minimum. This is how you will have the most success in these games. 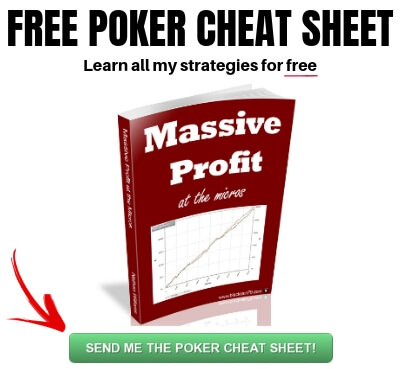 If you want to know how I quit my job over 10 years ago to become an online poker pro and travel the world, (while doing very little bluffing at all), make sure you pick up a copy of my free poker cheat sheet. Do you think you can win at poker without bluffing? Let me know in the comments below! I think, it is a little bit of a streatch to say, that the two examples are not bluffs. We are clearly most happy in both hands, if they fold, and in my book that mean, we are bluffing. Or at least we are not value betting. But we have a decent amount of equity when called, and betting give us better playability on future streets. So I would classify both as semi-bluffs. The first hand with AJ on T63 rainbow is almost some kind of merge bet, or whatever you call it. Because while Villain will sometimes let go of a better hand like a baby pair or AQ, we can also sometimes get called by worse hands like OESD, gutshots or even a worse broadway. So I think, maybe the conclusion is, that you do need to bluff in poker, but you should mainly bluff in spots, where your opponent has a weak range, and/or you have equity. The flop C-bet is a perfect example of that, because per definition most hands miss the flop around 60% of the time. However once your C-bet with AJ on T63 rainbow gets called by the Villain, then he almost certainly has something. So if the turn card is a blank or might even have helped him, you should just check back and take a free river card. 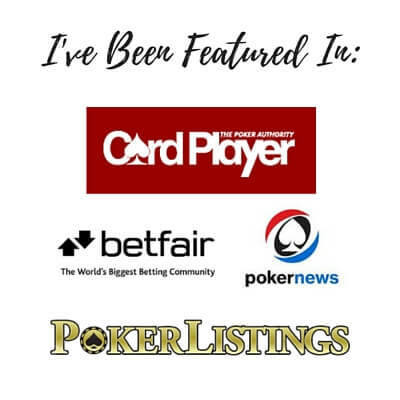 The big river bluff, where you get someone to lay down a strong hand, as we see on TV or in the hand, you recently reviewed on Youtube, are not a big part of poker. And if you and/or the opponent are new to the game, I completely agree, its better to just not do it. Its way more important to get fundamentals like preflop ranges, value betting and getting away from second best hands sorted out first. Thanks for your thoughts as always Lars. I like what you said about bluffing when they are on a weak range and/or we have equity. That's definitely the point I was trying to get across in this article. 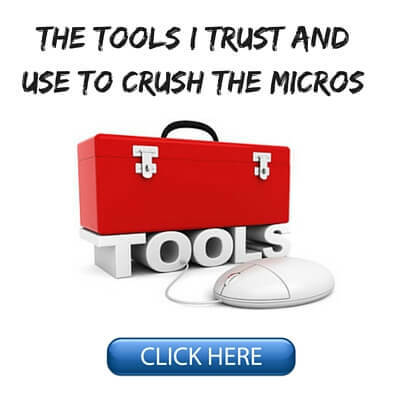 It is ok to bluff sometimes at the micros but only when there are clear reasons to do so. "I want you to let me know in the comments how much you bluff in poker". The vast majority of the time, especially at smaller stakes, not very much, mostly small ball bluffs like 2X, 2.2X, 2.5X steals from the CO or BTN, or delayed c-bets. Otherwise, it's not bluffing but either value betting or semi-bluffing. At the Micros, I've encountered maybe three players I'd target for a big, triple barrel, stacks in bluff. These are the guys who can level, and can be convinced that a TPTK is no good when I'm all-in for a pot-sized bet on the river. Most rec-fish will call because Kings! They're barely thinking about what they have, and thinking about what I have not at all. 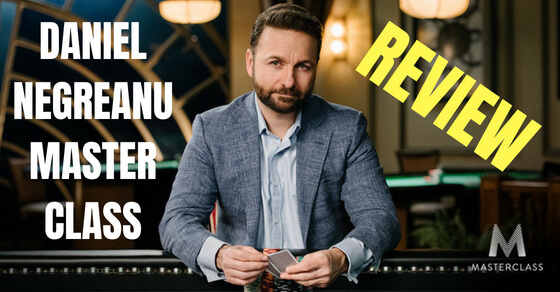 "They tell themselves that they need to play more tricky because that is how Daniel Negreanu plays on TV in heavily, heavily edited high stakes poker tournaments". I've watched many hours of the vids Negreanu made for YouTube and *he* says right off that he doesn't really make all that many plays. The unedited, real time vids he makes of his play demonstrates this. Thanks for your thoughts Dolphin. That is interesting that Daniel has in fact said that. Good for him for saying that because I think a lot of people watch him on TV and think he plays like that all the time and try to copy him. Nope, it's the magic of editting! It's a shame that the meaning of 'continuation bet' has got scrambled over the years and now seems to be applied to situations even when the pf raiser has hit the flop. In the original use of the term it was clear that a continuation-bet was a bluff, because you only called it that when you were betting after missing the flop. (As opposed to a value bet). But in answer to your question, I avoid c-bets along with all other forms of bluff for the reasons you give. They hardly ever work at NL2, and certainly not often enough to break even. Hey Ed, thanks for your thoughts. There was a time at NL2 when my flop CBet was well below 50% because I just could not get anyone to fold anything haha. This isn't the case so much anymore. My most used bet size is around 2/3 pot, so my flop C-bets are clearly +EV. However there is certainly support in these numbers for the idea, that the big tripple barrel is not really a thing at 2NL. If they have something, they are usually not going to fold it, regardless how big the pot gets. But on the flop they do actually fold fairly often. Hey Nathan. I'm curious if you have any more Sit N Go specific articles. I seem to do much better at SNGs than I do at cash games in general. I find I just like them better overall. 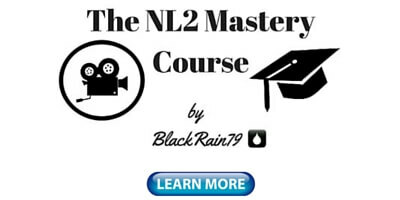 Do you know of a good resource for SNG's? I google a bunch of course, but most strategy seemed to be geared towards either MTT's or Ring games.. Going to look into getting into ring games more since if I follow the right advice, should be easy (if boring) money correct? Just curious on who you know is a good resource anyways! Thanks! You're awesome for providing so much Nathan! Keep it up! SNGs are just tournaments, that start on demand rather than on a scheduled time, and typically with a smaller player pool. But they are still tournaments, so all the same theory apply. Check out Jonathan Little for tournament advice. Thanks glad my articles help you! Some pretty solid advice in that article. Bluffing is alright against „thinking“ players, when you tell him a story that fits by making the right moves on flop and turn. Having some „Nut- Blockers“ in your hand helps you creating even more fold- equity on the river.